Psychiatrist: That’s an unusual problem, Mr. Connors. Uh, most of my work is with couples, families. I have an alcoholic now. Phil: Ned, I would love to stay here and talk with you… but I’m not going to. Rita: I like to see a man of advancing years throwing caution to the wind. It’s inspiring in a way. Phil: You know, people like blood sausage, too. People are morons. 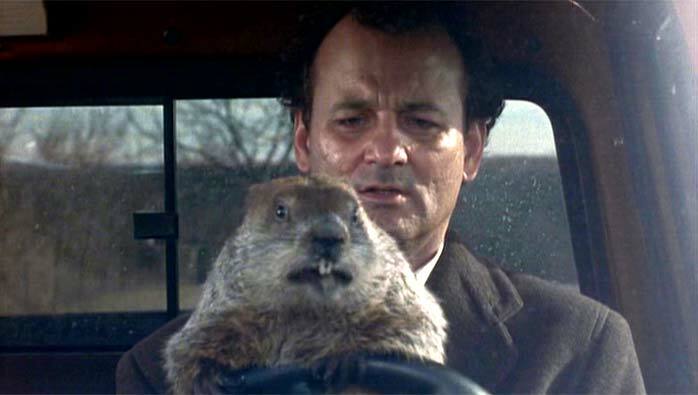 Phil: (Holding Phil the Groundhog behind the wheel) Don’t drive angry. Don’t drive angry! Phil: This is one time where television really fails to capture the true excitement of a large squirrel predicting the weather. 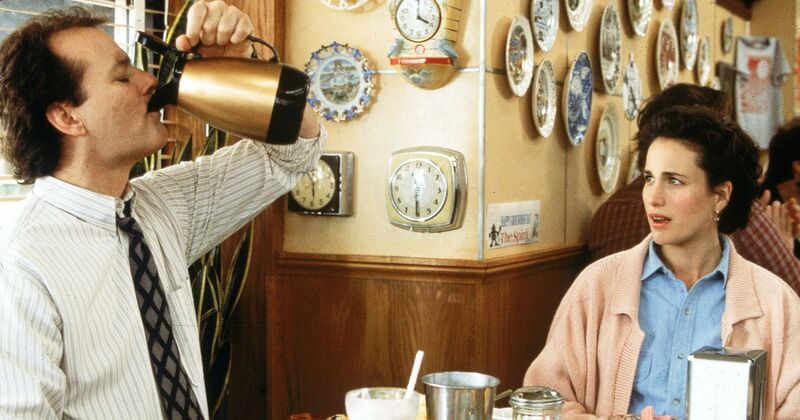 Ned: Ned… Ryerson. “Needlenose Ned”? “Ned the Head”? C’mon, buddy. Case Western High. Ned Ryerson: I did the whistling belly-button trick at the high school talent show? Bing! Ned Ryerson: got the shingles real bad senior year, almost didn’t graduate? Bing, again. Ned Ryerson: I dated your sister Mary Pat a couple times until you told me not to anymore? Well? Phil: (Driving down the railroad tracks toward an approaching train) I’m betting he’s going to swerve first. Rita: You’re not a god. You can take my word for it; this is twelve years of Catholic school talking. 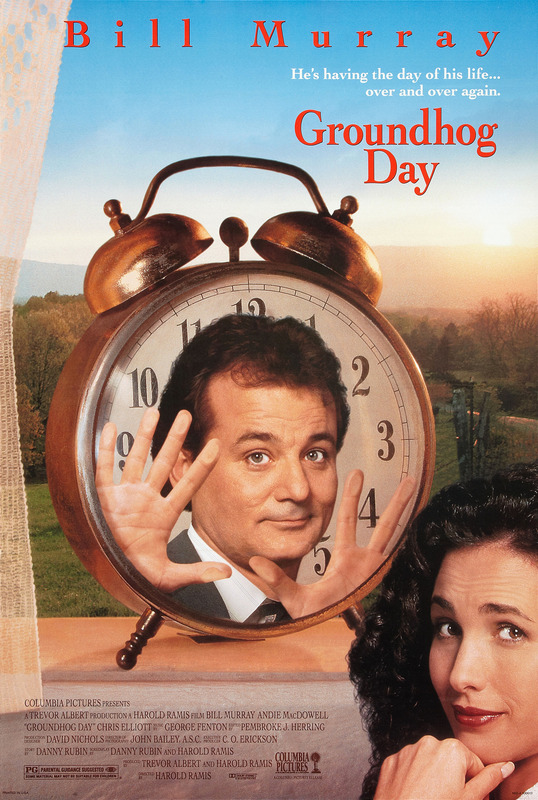 Rating: 9/10 – still the best time loop movie ever made, and one of the finest comedies period, Groundhog Day features terrific performances (Murray is superb as the jaundiced weatherman on a very steep learning curve), Ramis’s spirited direction, and again, Rubin’s wonderful screenplay; when a contemporary critic boldly states that “‘Groundhog’ will never be designated a national film treasure by the Library of Congress” – and that’s exactly what happens – then you know that it’s a movie that isn’t just another fluffy, high concept romantic comedy.